It turns out that not only are dogs biting the mailman — they’re biting a whole lot of other people, too. And, more than ever, their owners are being made to pay for their dogs’ indiscretions. Dog-bite claims against consumers’ homeowners insurance policies rose by 5.5 percent last year to a record 17,359. Dog bites accounted for more than one-third of liability claims, accounting for a whopping $483 million in payouts, a study by the Insurance Information Institute and State Farm Insurance found. The average cost per claim was nearly $28,000. California had the most claims, but New York’s cost the most, at more than $43,000 on average, the institute said. Still, most people don’t make claims after a dog bite. 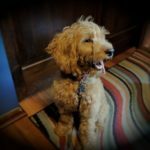 The institute, the education arm of the insurance industry, cited statistics from the U.S. Centers for Disease Control and Prevention noting that 4.5 million people are bitten by dogs each year. Of those 885,000 require medical care. 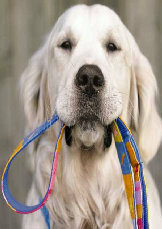 The American Pet Products Association says there are more than 83 million dogs in U.S. households. Depending on what type of dog you have, that chance of biting can cost you even if you pooch has never bitten a soul and never will. Owning pit bulls and other breeds that have been labeled as dangerous or vicious — dogs who have more bite than bark — could prevent homeowners from even getting insurance, the institute said. The group said Pennsylvania and Michigan specifically prevent insurers from denying policies based on dog breed, and Ohio requires owners of certain breeds to have liability insurance. Depending on where you live, laws about your liability for a dog bite can very. The institute notes that in some places, any time your dog bites someone without provocation you’re legally responsible. In other locations, liability depends on whether you had a reason to know the dog was likely to bite (due to breed or past behavior) or you were negligent in how you failed to control the dog. The institute also noted that increasing loses to dog bite claims means some insurers are making dog owners sign liability waivers — relieving the insurers of responsibility if a dog bites someone. As for the mailman, the Postal Service reported that 5,581 mail carriers were bitten by dogs last year.